Bekijk je resultaten en registraties en bestel nieuwe examens. Bestel examens en vouchers en vraag nieuwe accreditaties aan. Bewerk je profiel, download examendocumenten en zoek onafhankelijke trainers. 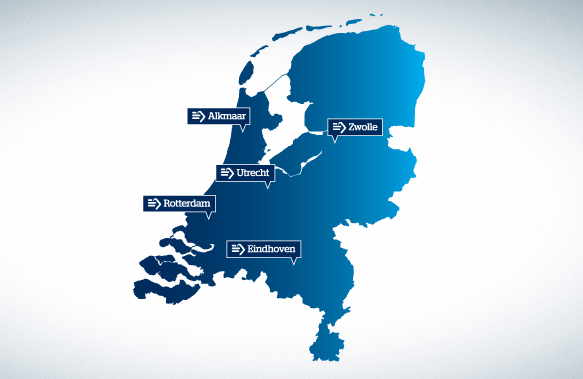 EXIN offers candidates in the Netherlands the opportunity to take their exam at 5 different Open Universiteit locations throughout the Netherlands. The exam halls are situated in Open Universiteit study centers in Alkmaar, Eindhoven, Rotterdam, Utrecht, and Zwolle. For candidates who want to take their exam in a controlled setting, the Open Universiteit study centers are ideal. The exam you take will be given in an exam hall, with other students, and with an invigilator to monitor the process. The study centers are located throughout the country which means you are nearly always within easy reach of an Open Universiteit location. If you prefer to be able to take your exam in privacy and without having to travel, you can make use of EXIN Anywhere. If you have any questions about taking an exam at an Open University location please take a look at the FAQ section on our support page.